Watling Street Dental Care hygienists are able to perform a number of procedures including deep cleanings, scaling and root planing for patients with periodontal disease, dental sealants, administration of fluoride, and provide instructions for proper oral hygiene and care. 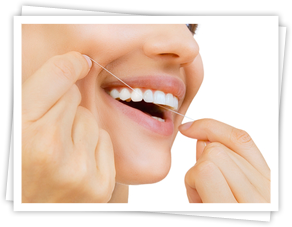 Our main focus is to ensure that you are given the tools to keep your teeth free of plaque. Plaque is caused by the bacteria in our mouths attaching themselves to the tooth’s smooth surface. If this is not brushed away properly, it can form tartar that is much harder to remove and can then lead to decay. Deep cleanings should be pain free. If however you do experience any discomfort make sure that you let the hygienist know and they will be able to use anaesthetic creams and give you some local anaesthetic to reduce this. Demonstrations on effective tooth brushing techniques to remove plaque without causing tooth wear and receding gums. Advice on the best aid to clean in-between teeth. Prevent unpleasant tastes and bad breath caused by the damaging bacteria in the mouth.